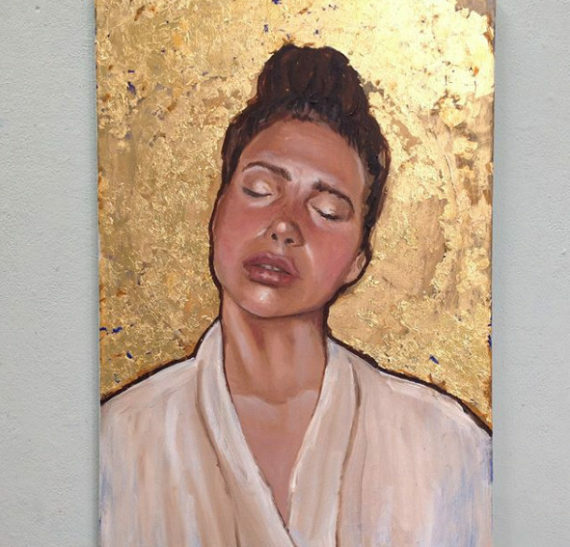 Janet Tryner continued her degree shows coverage on the a-n Instagram with a visit to the BA (Hons) show at Birmingham City University as part of the BCU Inspired Festival, hosted at the school’s Margaret Street campus. “This is what greets you in the foyer of Birmingham School of Art’s impressive home on Margaret St!” explained Tryner with her first post. Rosa de Lux’s portraits make reference to the works of the Pre-Raphaelites, as Tryner explained. 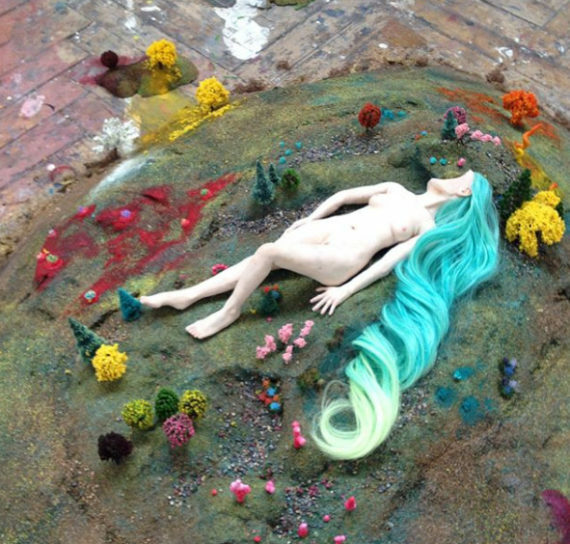 Fine art sculptor Chloe Haberfield’s show featured a series of painted female figures. “These finely modelled female nudes looked like they were pensively considering their options, which seemed limited or out of reach,” said Tryner. One of Tryner’s highlights from the show was Zhe Ghu’s installation. “I would have picked this to bottle up and take home with me,” she explained. 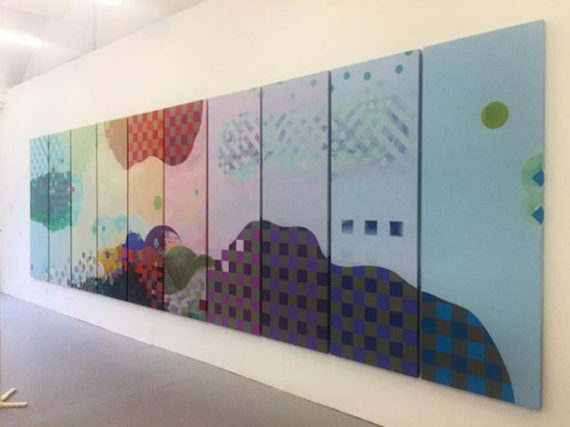 Sam King kicked off his degree shows takeovers with a series of posts and stories from the Camberwell College of Arts undergraduate show. You can view all the degree shows stories pinned to the a-n Instagram profile page. Multimedia installation artist Sunita Kirkpatrick’s degree show work Come Over (top image) is created from a collage of digital images. “Kirkpatrick’s work explores commonalities between online media, mediated spaces and the organic environment,” said King. In his paintings, Laurence Jansen uses the gestural movement of paint to reflect upon ideas about the movement of humanity. “This reflection may depict a narrative of political dynamism or migration on an atomic level,” said King. King described Giovanni Vetere’s installation performance Portrait of the Homo Aquaticus, exhibited in the college’s courtyard space, as “mesmerising to experience”. “I highly recommend that you go to see this performance installation before the Camberwell show is over,” said King. Sueko Hamilton Ritchie’s paintings are influenced by Buddhist beliefs of the world being in flux with many continuous cycles. Next up: Janet Tryner visits the Warwickshire College degree show and Sam King heads to the City & Guilds of London Art School fine art show.